The ASU School of Public Affairs sponsored five MPA candidates to attend the 2nd annual International City/County Management Association’s Arizona Chapter - Women Leading Government Event in June. 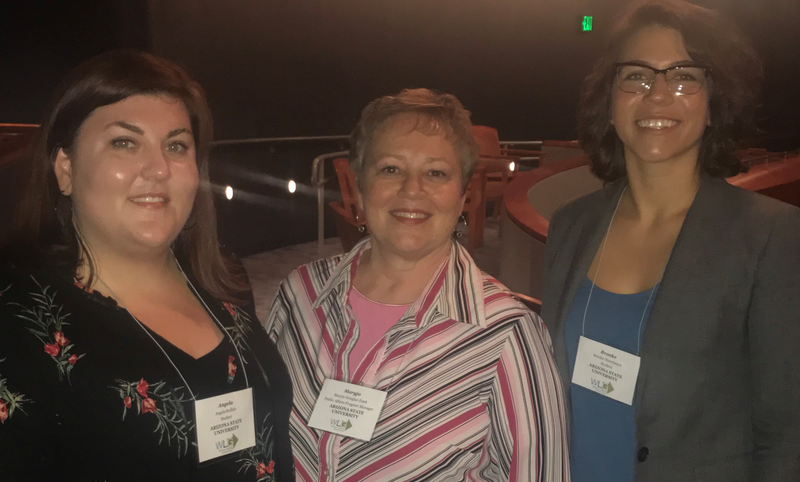 MPA students Angela Ruffalo, Brooke Nisenbaum, Kalah Polsean, Tessa Edwards and Leigh Jensen participated in a day of keynote speakers, breakout sessions and networking activities with 350 women (and men) engaged in local government and community development across Arizona. The ACMA-sponsored event was hosted by the City of Scottsdale at the Scottsdale Center for the Performing Arts. Technicians from the city Channel 11 videotaped the presentations for play on city access channels. Pam delighted the audience with her creative limerick inspired speaker introductions and kept the large group of attendees (nearly double the number as last year’s event) moving through the day’s activities.